Nearly 700,000 people in the UK are affected by arthritis. It is commonly thought that the condition is one that only affects the elderly, but this isn’t the case for all type. 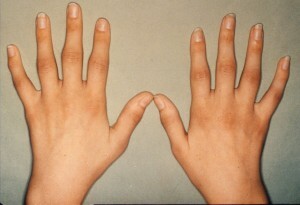 Rheumatoid Arthritis is not very well understood by the public, despite being the second most common form of arthritis. Rheumatoid arthritis is an autoimmune disease and causes swelling and pain in the joints, usually wrists and fingers. It occurs when white blood cells and antibodies attack the cell linings of joints, instead of fighting disease. This makes the joints feel stiff, especially in the morning. This kind of arthritis can occur at any age. There are an estimated 12,000 cases that occur in children under the age of 16. The disease is three times more likely to occur in women than in men. The effects of Rheumatoid arthritis can be debilitating and even lead to permanent damage in joints. By knowing the symptoms of the disease it means it can be diagnosed and managed earlier to prevent such damage. Prevention is always better than the cure. If you think you are suffering then you should in the first instance see you GP as soon as possible. The main symptoms are: swelling in the joints, pain and stiffness particularly in the morning, flu like symptoms and unexplained weight loss and tiredness. Although it is worth noting that there are different levels of severity, depending on how advanced the condition is. According to experts these symptoms and how fast they occur can vary significantly between individuals. Though a history of the disease within the family can be a good indicator. A simple blood test can diagnose the condition and within this there are two separate indicators of the disease. 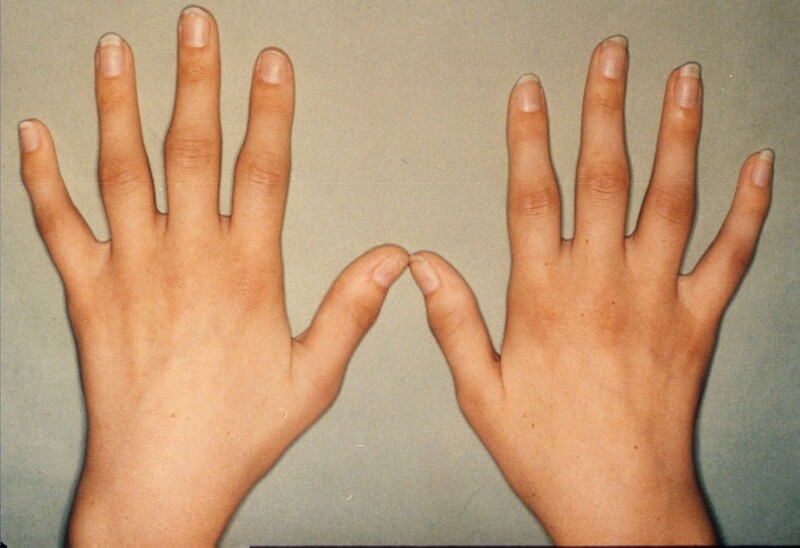 The cause for this form of arthritis is still unknown, however it may relate to genetics. Factors such as pollution and smoking are thought to make the condition worse as well. People exposed to these things are more likely to develop the disease. There are various kinds of treatment available to help manage arthritis. The newer treatments are enabling patients to lead normal lives despite having the condition, which is an important step. The most common form of tablet prescription is called methotrexate, which needs to be taken just once a week. If, however, these tablet forms of medication don’t work there are so called “biologic” treatments, which directly target certain molecules in the immune system. This particular type of medication is more often than not delivered via self-injection, similar to that of an insulin pen used by diabetics. There are also complementary therapy’s you could try, specifically drug-free pain relief which can incorporate physical therapy (gentle massage) as well as diet and exercise plans which are specifically geared to help arthritis sufferers manage their pain. With the combination of new treatments and the older ones being used more effectively the treatment of this condition is much better than before. It is a huge success for the medical profession and, more importantly, for those living with the condition. Jane has been a sufferer of arhtritis for the last five years, but has made some changes in her lifestyle which has helped manage her arthritic pain and can now do many tasks which were hitherto impossible after seeking treatment for her arthritis.